Toronto is humming ahead of this weekend's NBA All Star Game. For the first time ever, the league's all star festivities are in a city outside the United States. And could Drake still play halftime? Toronto is humming ahead of this weekend's NBA All-Star Game. For the first time ever, the league's all-star festivities are in a city outside the United States. That's a reflection, according to NBA commissioner Adam Silver, of how well the Toronto Raptors are doing. Not just this season, but for the last 20-plus years, since the first tip-off in Toronto in 1995. "Number one, it's the success of the franchise here," said Silver ahead of this weekend's game. "The fantastic job Masai Ujiri is doing with this franchise with coach (Duane) Casey, makes this a model franchise in the league." When the idea to bring the All-Star Game to Toronto came up, Silver said the NBA "embraced it." Toronto already had the infrastructure and services to accommodate a lot of visitors. Even the cold was fine with the NBA — last year at the game in New York City, the temperature was around -18 C.
"Fortunately our events are all indoors. So no big deal!" said Silver. But that doesn't mean Canada is ready for another team. In fact, Silver explicitly said it was not time to bring another team to this country. When the Raptors began playing at what was known as the SkyDome, the Vancouver Grizzlies had a more basketball-ready arena with that city's GM Place. The Grizzlies also had a higher pick in the teams' inaugural draft. But it was the Raptors who survived. The Vancouver Grizzlies eventually moved and are now the Memphis Grizzlies. "There's a part of me that wishes that we still had a team there," said of Vancouver. "At this time, we're not looking for expansion." The secret to the Raptors' success has been off the court, said Silver. "Players want to go where they can win, and where they can win is where the teams are best managed," he said. "This club has become a real attraction for players." Put Drake in the game! The only controversy of Toronto's turn at All Star hosting has been a minor one concerning the halftime performance. 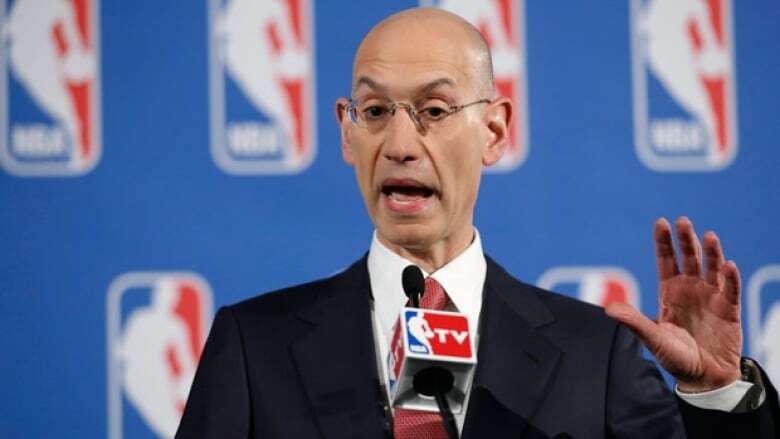 The NBA seemed to pass over homegrown talent in favour of Sting, the former Police frontman. Sting is from the U.K., and has not put out an album since 2013. Meanwhile, Toronto musicians like The Weeknd and Drake were at the top of the charts for most of the last year. Even Justin Bieber has more relevance to this city, critics charged. But Silver said Sting is a "global superstar," and that he fully supported the Englishman as the NBA All-Star Game's halftime talent. Besides, he added, the Grammys are this weekend, creating a scheduling conflict. However Drake is in Toronto this weekend, and will be participating in the celebrity game. Silver said this weekend was a chance for the Toronto rapper to be a fan, and not have to worry about performing. But he added that there may be an opportunity for Drake to get an assist. "Drake is here and he has an open invitation to join Sting during the halftime celebration," said the commissioner. And while Silver praised Maple Leafs Sports and Entertainment for their work building the Raptors, he was also asked what he'd suggest for the Leafs. Toronto's hockey team has massive fan support but is currently languishing at the bottom of the standings as the team continues a long-term rebuild. "I grew up in New York and I'm a Rangers fan," said Silver. "Sorry, I can't help with the Leafs."